Cybersecurity is like fighting a never-ending battle against a relentless foe. It’s not about wiping out the threat for good; it’s about staying one step ahead. As long as you can evolve as fast as bad actors, you can keep your site more secure. A crucial tactic in this ongoing battle is over bots. Some of these bots are probing your site for vulnerabilities and other are out to steal intellectual property or break your business model. There are good bots as well, but the challenge is both telling human from bot and good bot from bad. 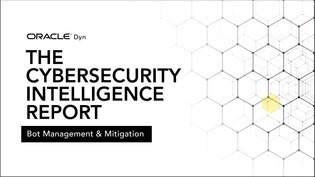 This report aims to help organizations take control of their Internet security with top tips from cybersecurity experts on identifying bots, mitigating damage and creating a culture of security in your organization.